Transcend Information Inc., a leading manufacturer of storage and multimedia products, today announced the release of its M.2 SSD 430S and 830S solid state drives (SSD). 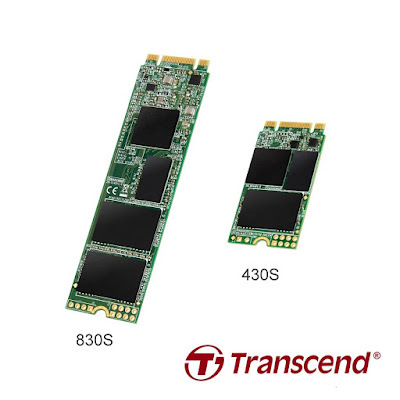 Featuring ultra-compact dimensions and the next generation SATA III 6Gb/s interface and DDR3 DRAM cache, Transcend’s M.2 SSD 430S and 830S are best suited to address the strict size limitations and high-performance needs of today’s advanced portable devices. By using only high-quality NAND flash chips and enhanced firmware algorithms, Transcend's M.2 SSD 430S and 830S delivers peerless reliability.